Local police say they have spoken to the owner of the horses that have been escaping from Leach Fields. 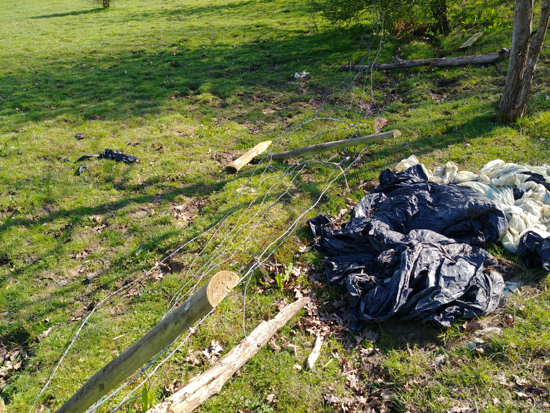 The animals have frequently been found wandering local footpaths and straying into North Mymms Parish Council's open spaces. Police officers say they’ve been told that the fences will be fixed and three horses removed while repairs are carried out. Barbed wire has already been strung across the spot where the horses escaped recently (marked with the red dot in the map below). 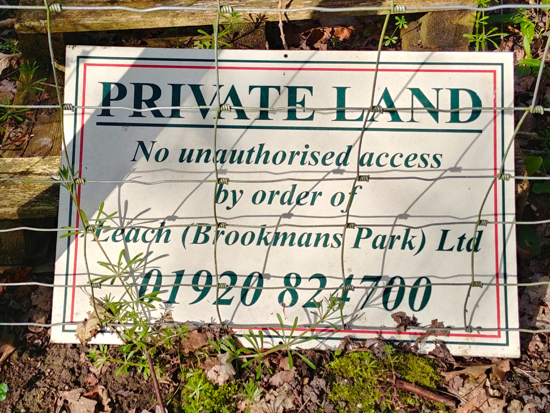 The area known as Leach Fields is privately owned and the grazing land rented out. 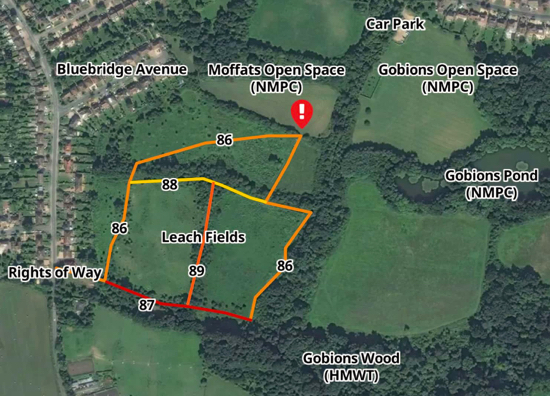 The adjacent land to the north, known as Gobions Open Space and Moffats Open Space, are both owned and managed by North Mymms Parish Council (NMPC). Gobions Wood, to the east, is managed by the Herts and Middlesex Wildlife Trust. A number of popular public rights of way cross Leach Fields. All show evidence of horses having been wandering along the footpaths. Hertfordshire County Council’s Rights of Way team has been notified. NMPC continues to receive calls reporting escaped horses in Gobions Open Space and Moffats Open Space. Both are used by local residents walking their dogs. The issue is raised regularly on the Brookmans Park Community Facebook page. 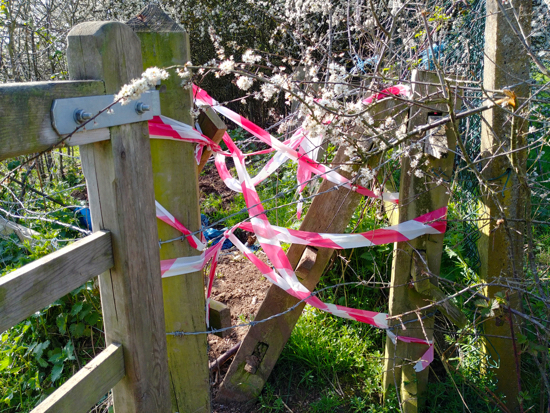 When NMPC is notified the local authority sends the council grounds staff to investigate, but the council says there is little they can do because it’s not clear from which fields the horses have escaped. The council says any concerned residents should inform Hertfordshire police by calling 101. 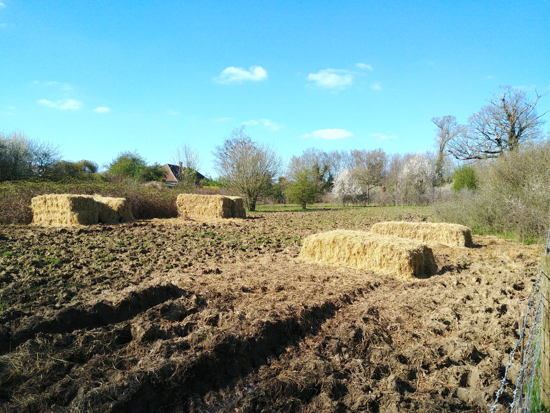 Bales of hay have recently been delivered to the field that backs onto house on Bluebridge Road. 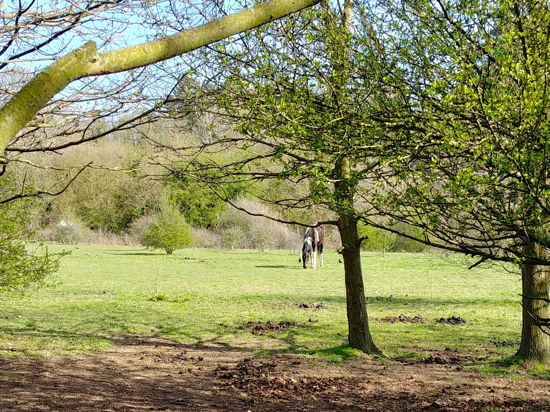 NMPC will be discussing the issue of the horses escaping into parish council owned land at the amenities committee meeting on Wednesday 10 April. The local Police Community Support Officer (PCSO) Sam Griffin, is liaising with NMPC to tackle the problem.